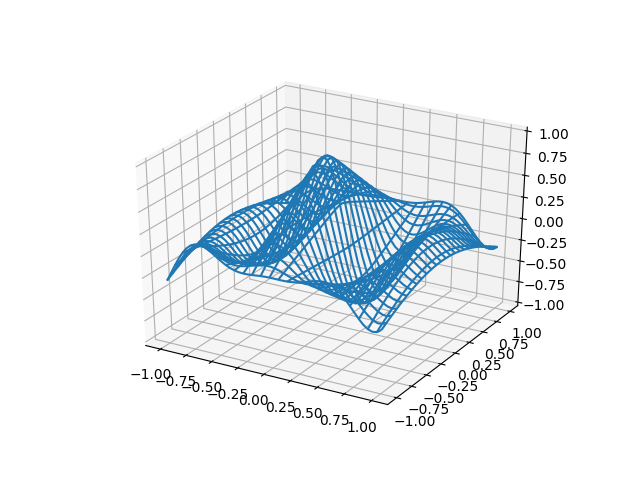 A very simple ‘animation’ of a 3D plot. See also rotate_axes3d_demo. Generates Z data for the points in the X, Y meshgrid and parameter phi. # Make the X, Y meshgrid. # Set the z axis limits so they aren't recalculated each frame. # If a line collection is already remove it before drawing. # Plot the new wireframe and pause briefly before continuing.